I love starting class with cardio-inspired workouts to get the blood moving before we move into larger movements. The Spark (ft. Spree Wilson) – Afrojack – These first two songs are lesser known, which means they aren’t overplayed on the radio and the kids don’t know every word, but they still have a great beat. Today’s New Music Monday is a song that just makes you want to create something: Perpetuum Mobile by Penguin Cafe Orchestra (link opens in iTunes). As a side note, this song was used in the claymation film “Mary and Max“, which if you’re in the mood for a moving animated movie – watch this (its on Netflix). Just keep the tissues nearby and don’t say I didn’t warn you. Don’t miss this year’s remix by DJ Earworm – he combined 25 of 2012’s pop hits to create one song… and the kicker is that it actually sounds pretty awesome! The kids seem to like this one a lot. My pre-teens ask me to play it each week, and the first week it took them a while to actually focus on the steps in warm-up because they were trying to figure out what this song was! As of this post, I believe you can still download the song on SoundCloud. If you love mash-ups like this song, check out more mash-ups here. I am currently loving this song by Kerli “The Lucky Ones”. I’ve been using it for tap and jazz warm-ups this week and its got a great beat (and no bad words!). 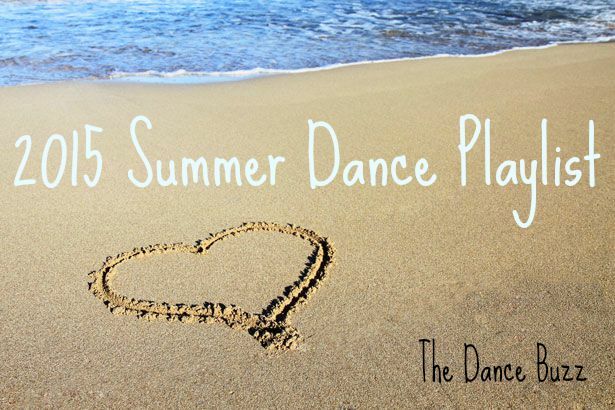 This year I have three classes of 1st and 2nd graders in tap / jazz combination class and we are focusing on increasing the speed and clarity of their tap steps. I've noticed that they are still doing the large "baby" shuffle — where they use almost their entire leg to swing the foot back and forth to make the sounds. 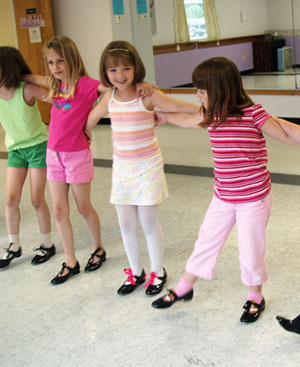 I was trying to think of a way to help them understand the faster shuffle and we came up with the "snappy shuffle" which we practice during tap barre. The "snappy shuffle" is a quick shuffle that is small and the dancer uses the knee to do most of the work (lifting the knee up and down as opposed to bringing the whole leg forward and back). I am having good results so far. The kids love "going fast" and enjoy the challenge of doing "steps like the big girls/boys". Now we are working on translating that same "snappy shuffle" into our other steps, like irishes (shuffle hop step) and buffalos (leap shuffle leap). Here is our tap barre that I use for a warm-up, lately we've been using "He Could Be the One – Hannah Montana to give you an idea of the tempo. Short music post today – just wanted to share three songs I’ve been loving lately! Titanium (David Guetta feat. Sia) – My go-to warm up songs for my older students. I’ve been using this in tap and jazz classes as it has a nice steady beat and hasn’t been overplayed on the radio yet. Timshel (Mumford & Sons) – This is a hauntingly beautiful piece that I’ve been using in my lyrical/contemporary classes. Easy to put emotion into it. I’m In Here Piano/Vocal Version (Sia) – I can’t help it – I love Sia’s voice. You might recognize her from “Breathe Me” a few years ago. I just love the different sound she has. I’ve been using this song in lyrical and jazz class for a cool down.